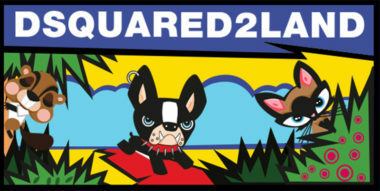 City hangouts, weekend mountain retreats, and after school parties: DSQUARED2 kids has the winter style games all wrapped up. 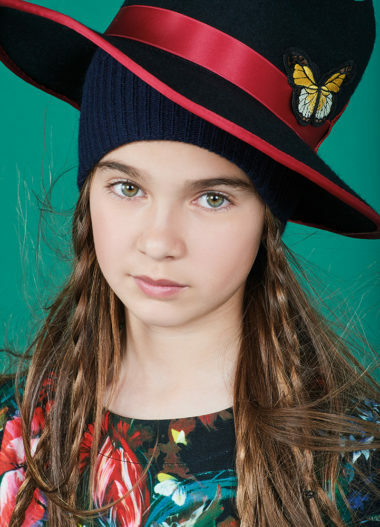 Equally as stylish as the adult range, the kids collection is chock full of sporty pieces with luxury finishes; evening wear is trimmed with lace and ruffles; functional outerwear is embellished with playful accents; colourful graphics inject energy throughout. 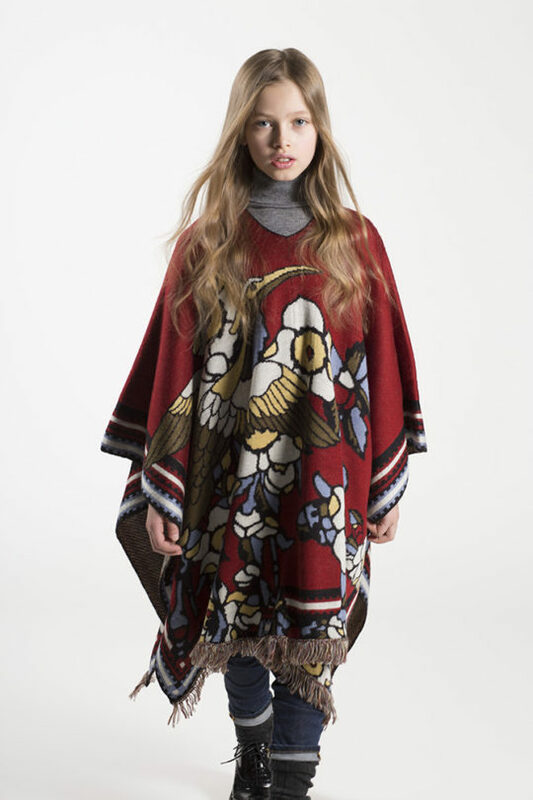 Our favourite pieces? For girls, a stand-out Japanese-style bird motif on an oversized, jacquard knit poncho and knits with lace inserts and denim sleeves. 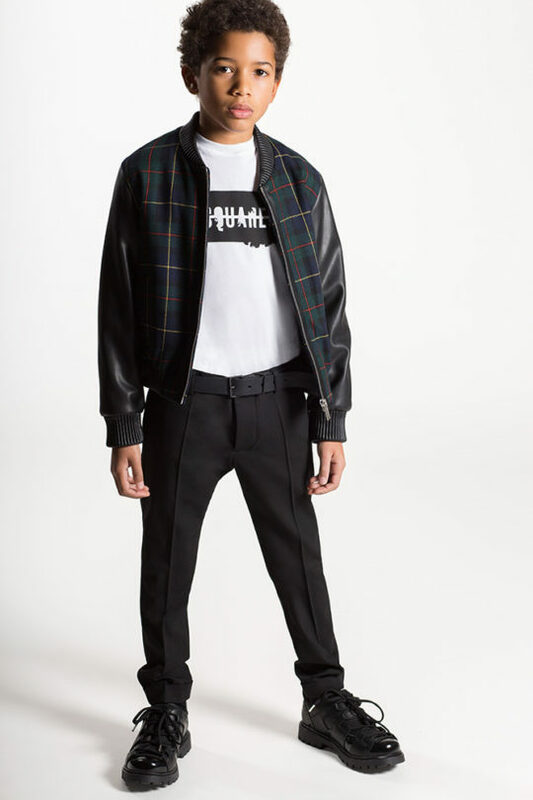 For the boys we are digging the punk tartain plaid mixed with soft leather and nylon in bombers that are equal parts sophisticate and streetwise. And let’s not forget the wee ones: DSQUARED2 melds versatility and style in all-in-one pieces like denim overalls and formal looks for holiday party hopping.